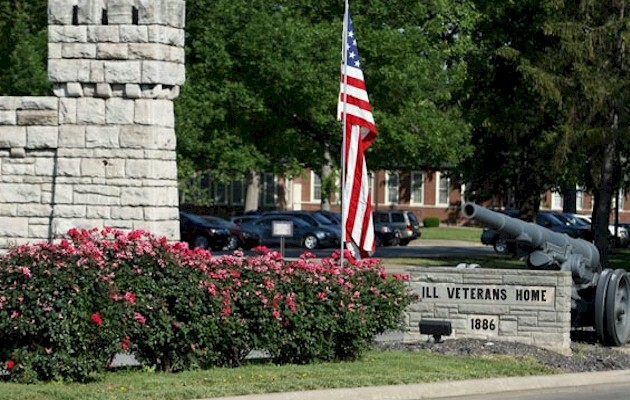 Two more residents of the Illinois Veterans Home in Quincy, Illinois died from Legionnaire’s disease this weekend bringing the total to 11 since the outbreak started last month. 54 people have been diagnosed with the disease at the home. Two more residents of the Illinois Veterans Home in Quincy have died of Legionnaire’s disease, bringing the total number of deaths to 11 since the start of the outbreak in late August. The residents, who both died over the weekend, had both previously tested positive for the disease and had underlying health conditions. The total number of Legionnaires’ cases at the Veterans Home remains at 54. The Adams County Health Department, which confirmed the two deaths Monday, says that test results for environmental and water samples at the Home are still pending. No cause for the outbreak has yet been identified, but both public health and Home staff say they have taken steps to sanitize the water system at the Veteran’s Home, including the cooling tower and water tanks. Legionnaires’ disease is a type of pneumonia caused by bacteria. You usually catch the disease by breathing in mist from water that contains the bacteria. The mist may come from hot tubs, showers, or air-conditioning units for large buildings.